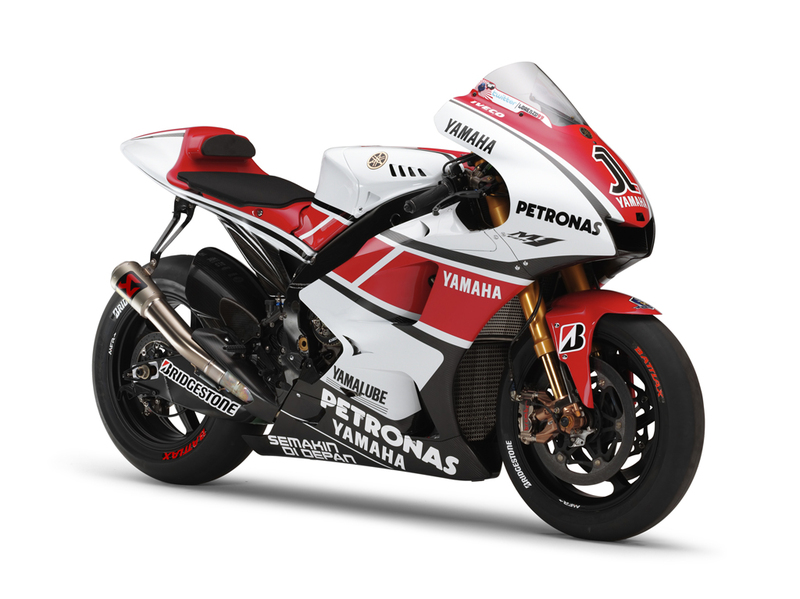 Yamaha marks its 50th year in World Championship Grand Prix racing this year, and what better way to celebrate the anniversary than with a special edition livery? 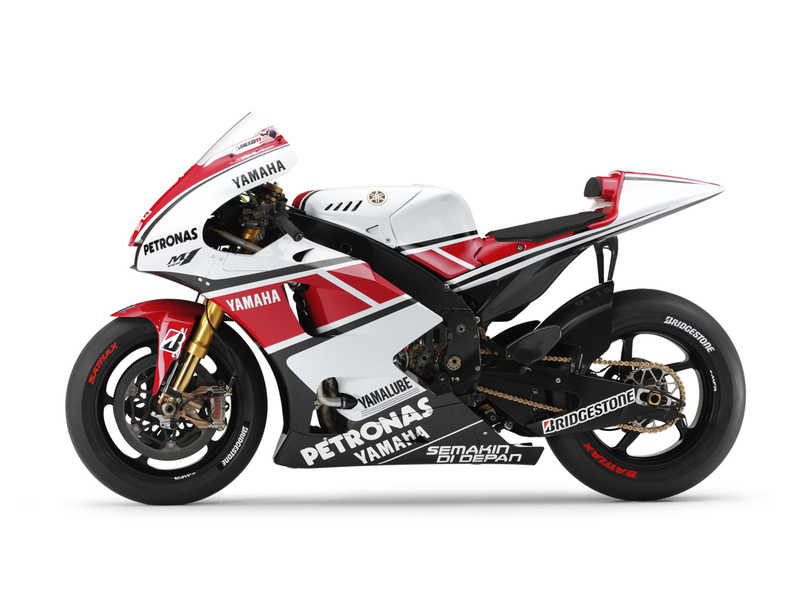 The special edition WGP50th Anniversary Yamaha YZR-M1 livery reaches back into Yamaha’s past for its classic red-and-white colors inspired by its first factory team in 1961. 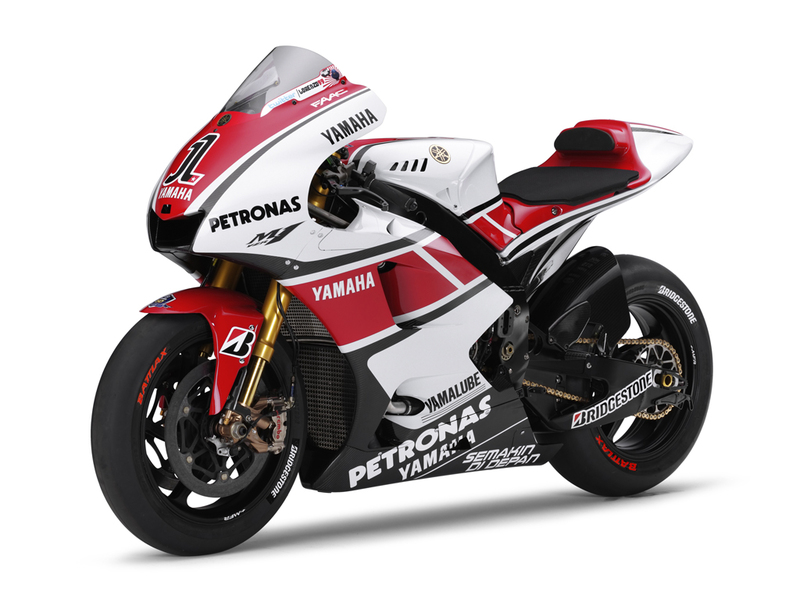 Reigning MotoGP Champion and current points leader Jorge Lorenzo and 2010 MotoGP Rookie of the Year Ben Spies will ride the special edition WGP50th Anniversary livery on their Yamaha YZR-M1 racebikes at the June 25 Assen round and the July 24 U.S. Grand Prix at Laguna Seca. The red and white colors will also be used for Yamaha’s entire staff, team crew and pit box. 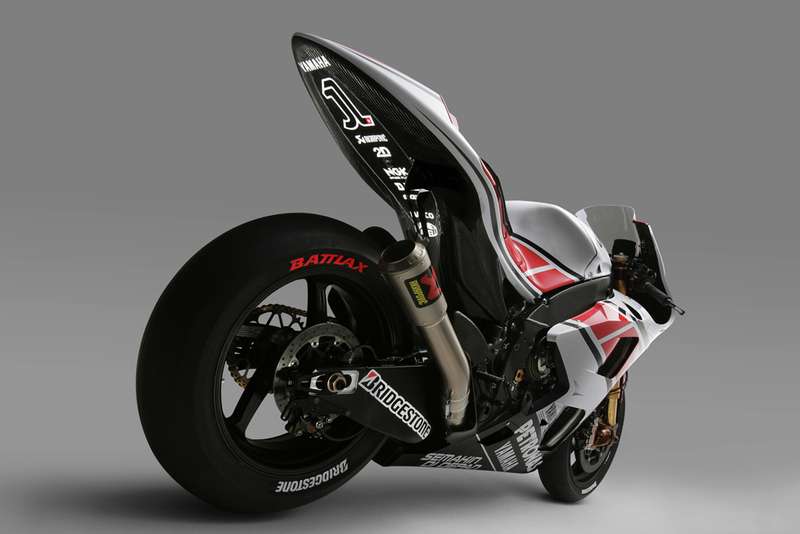 Read the official press release and view the gallery of more pictures after the jump. 2011 marks a very special moment in two wheeled motorsport as the 50th Anniversary of World Championship Grand Prix racing for Yamaha. 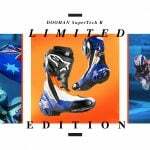 As part of a series of ongoing activities to celebrate this landmark Yamaha Factory Racing will run a special livery, the ‘YZR-M1 WGP50th Anniversary Edition’ for the Assen TT and Laguna Seca races. 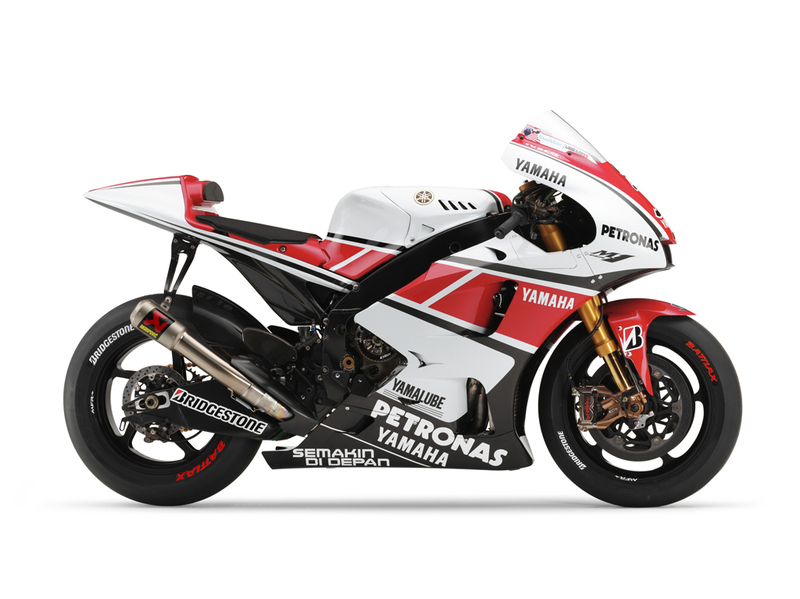 The unique red and white livery design pays homage to the iconic Yamaha Factory Racing liveries of the past with a modern twist. 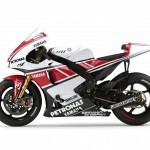 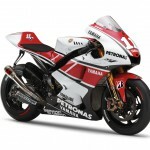 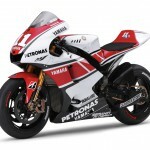 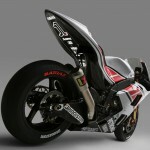 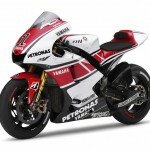 The red and white livery will be used by Yamaha Factory Racing team riders Jorge Lorenzo and Ben Spies. 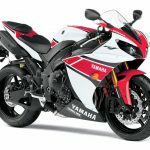 The colours will also appear on all Yamaha staff and team crew as well as the Yamaha Factory Racing team’s pit box. A special 50th Anniversary logo is also being used this season. The logo is proudly displayed on the 2011 YZR-M1 fuel tank, on all Yamaha Factory Racing Team uniforms, within the pit garage of riders Jorge Lorenzo and Ben Spies and also on the Yamaha Factory Racing trucks. 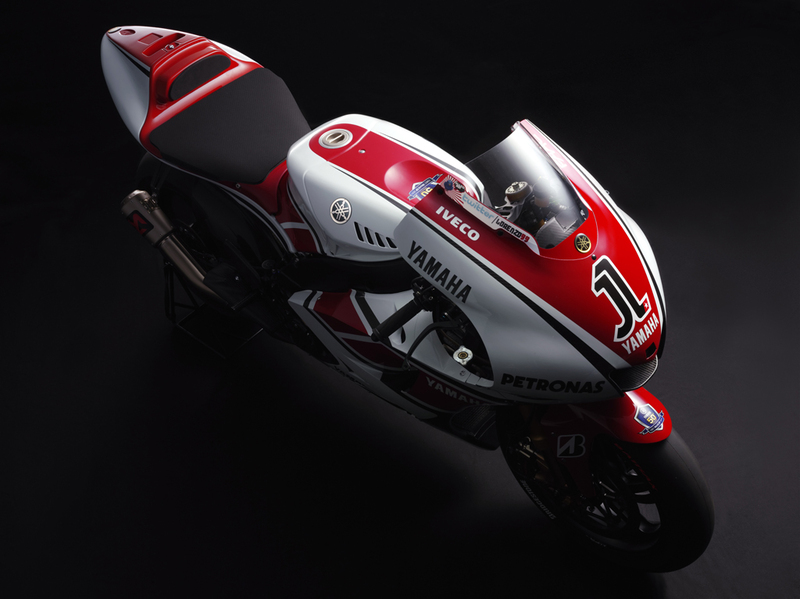 The Yamaha World GP 50th Anniversary is also celebrated online with a special dedicated website www.yamaha-motor.co.jp/global/race/wgp-50th/ (English). 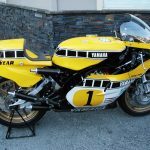 The website features an impressive archive tracking the history of Yamaha’s involvement with racing along with detailed historical information. 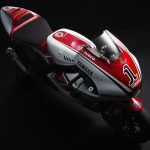 Throughout the season the site will be regularly updated with columns and videos along with exclusive messages and interviews of key people involved in the World Championship Grand Prix racing story of Yamaha.